Bobby Drake is one of the Marvel's most beloved characters, I think it's fair to say. The founding member of the X-Men has an affable personality and mawkish charm that makes him incredibly likable, and he has the potential to be one of the world's most powerful mutants to boot. He's a great character with a cool (haHAAAAA) power, always a welcome face whenever he's in a comic. This fall, Bobby gets his chance to shine again when he once again gets his own title. 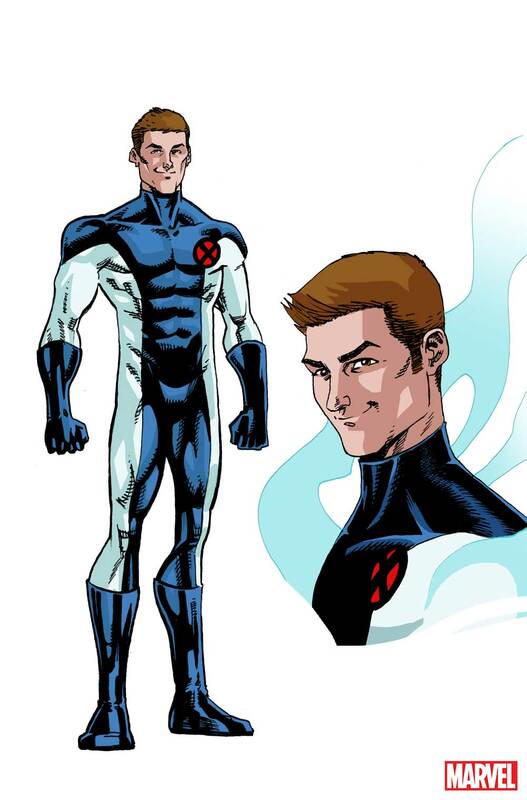 Written by Sina Grace and illustrated by Nathan Stockman, the series will follow Bobby as he strikes out on his own and becomes his own hero apart from the ranks of the X-Men. The acclaimed series returns with original writer Sina Grace, featuring artist Nathan Stockman! New York, NY—June 13, 2018—You asked for it – you got it! In response to popular demand, the critically acclaimed series ICEMAN, which garnered multiple award nominations during its original run, is returning to the Marvel Universe featuring original writer Sina Grace along with a brand new series artist, Nathan Stockman (Amazing Spider-Man: Renew Your Vows, Doctor Strange And The Sorcerers Supreme). Iceman #1 hits comic shops and digital retailers on September 12. Check the gallery below for a better look at W. Scott Forbes' cover and some of Stockman's designs.